Sometimes a very simple concept can have a big impact. 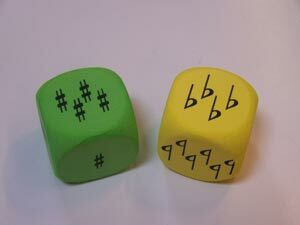 I think these Tumbling Key Signatures foam dice are a simple but highly useful teaching tool. They're also enticing and fun! Everyone who walks into my studio and sees them on the table wants to pick them up and handle them. I received a set of these from Music Dynamics of Wales, and I'm delighted to review them here. These are colorful 3 x 3 inch foam dice with key signatures up to 6 sharps and flats on their faces. The foam is nice and solid, not too squishy, but soft enough not to hurt anything even if you're rolling them on your shiny grand piano. The symbols are not stuck on, but seem to be impregnated into the foam. They are very durable and should last through many years of studio use. 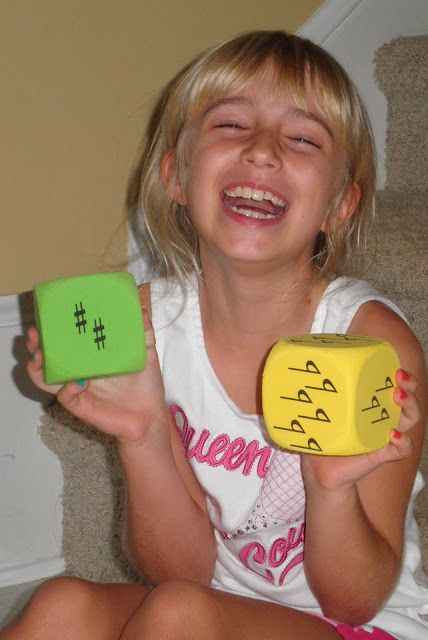 The purpose of these fun dice is to teach instant recognition of key signatures. Roll, kick, or toss one of them, and name the key (major or minor) that is face up. If you're tossing, the student names the key signature for the face that his thumb is touching. Lots more fun than flashcards, right? For those students who learn best from tactile manipulation, these are perfect. Before I could put these to use in my studio, they had to pass through my in-house product review department. Product specialist, a.k.a. my daughter! 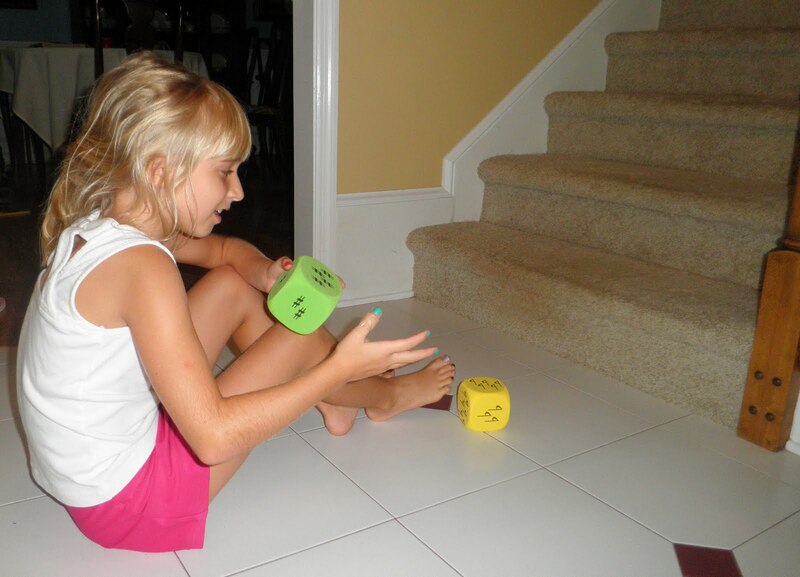 It helps to roll the dice against something that will stop them or in a box of some kind. Working through the order of sharps: Fat Cats Go Dancing After Eating Breakfast! 1. Teach the order of sharps and flats. 2. 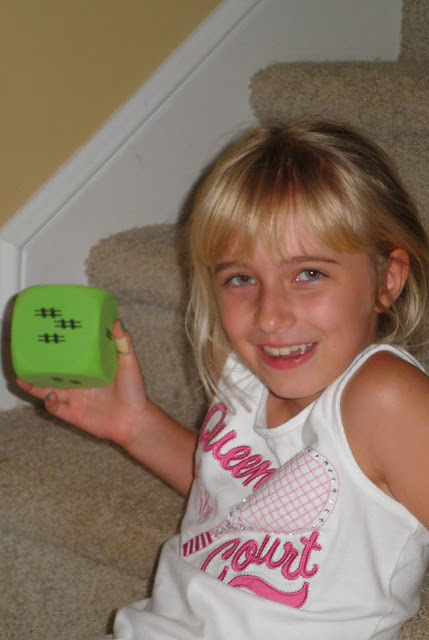 Fill in the blanks of the circle of fifths with the roll of the dice. 3. 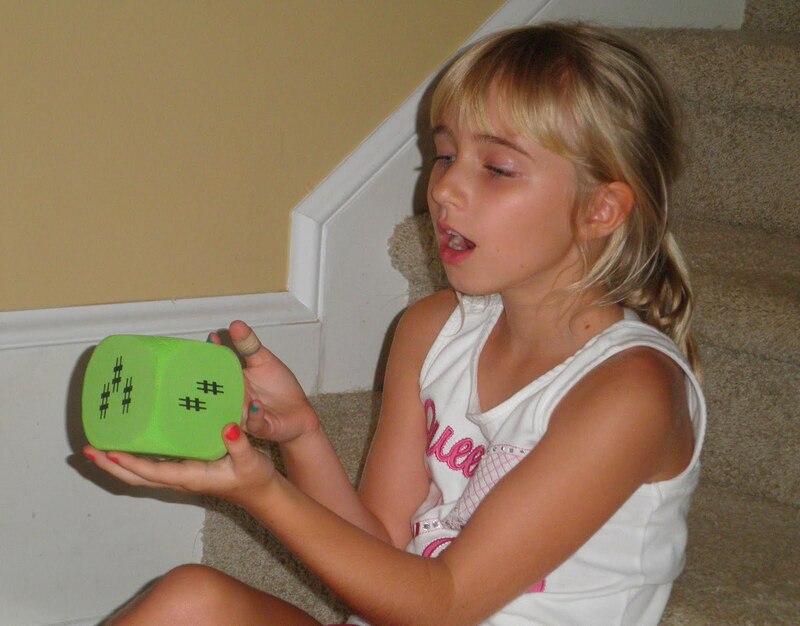 Spell or play the major or minor scale. 4. Play the primary chords in the major or minor key. 5. Improvise a short piece in the major or minor key. 6. 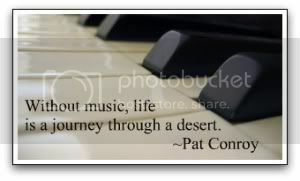 Transpose a simple piece to the major or minor key. 7. Review scales for an upcoming exam - roll the dice and play "scale roulette." Maybe you can think of more uses! Put them to work in the lesson, in the waiting area, or even in a group class. You can purchase Tumbling Key Signatures online from How 'Bout It Games for $14.95. They'll also be available at the upcoming National Conference on Keyboard Pedagogy (July 28-30) at the Music Educator's Marketplace booth. I highly recommend them!